Elections Commission (EC) has said people aside from the Commission officials can stamp the ballots of the people with disabilities. 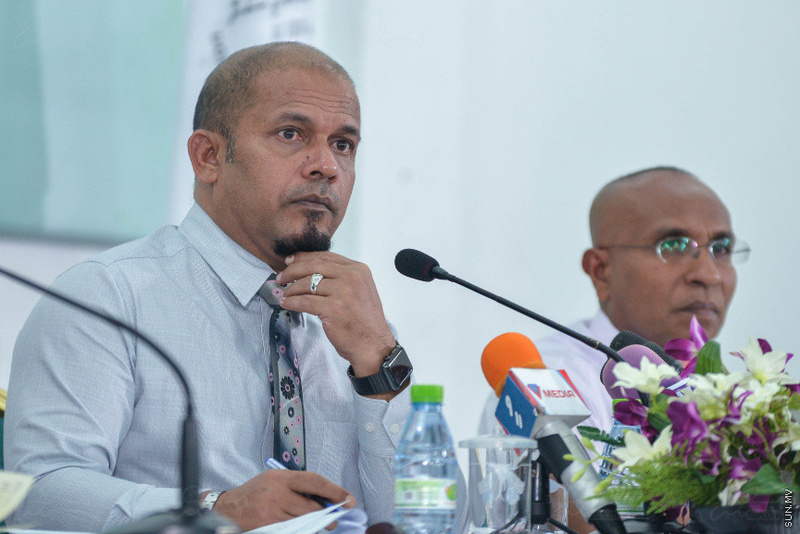 Speaking at a press conference today, the President of the Elections Commission, Ahmed Shareef said that a helper can vote on behalf of someone who is physically unable to vote under set conditions with the approval and in cooperation with the head of the voting station. And the helper has to be someone who is registered at the same ballot box to vote. The condition was also published on the state gazette today as Article 36-A of the Regulations of the Presidential Election. The volunteers at the voting stations will be taking down information on the helper as well. People who are legally blind. People who cannot use their hands. The elderly without the strength to vast the vote on their own.